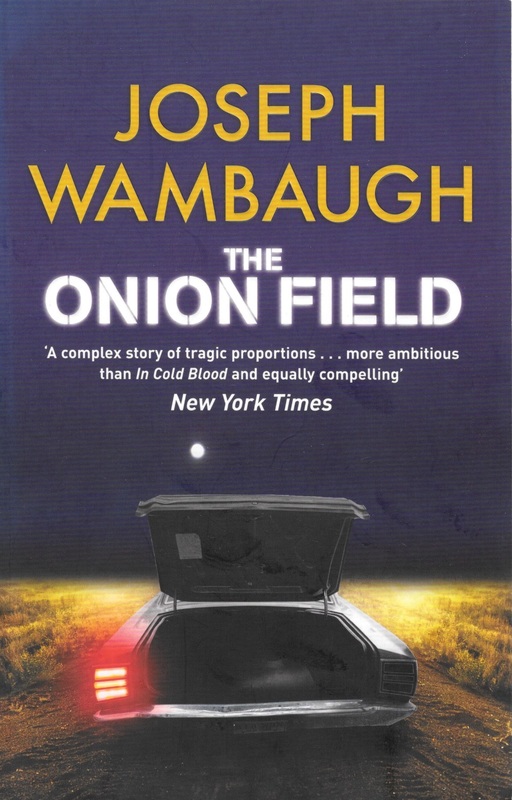 Joseph Wambaugh, former LA cop, has had an interesting writing career, spanning fiction and non-fiction. I’ve read several of his books and just finished this true-crime title from 1973. It recounts events from 1963 when two LAPD officers stopped a pair of small-time but dangerous characters. Greg Powell and Jimmy Lee Smith pulled a gun and took the policemen, Ian Campbell and Karl Hettinger, hostage. The officers were ordered to drive to an onion field near Bakersfield. Campbell was executed but Hettinger managed to escape. My initial feeling when I started reading was not good. The book is written in the style of Truman Capote’s a ‘non-fiction novel’ In Cold Blood. This style and Capote’s reliability as narrator have since been questioned. So, in The Onion Field we get the participants’ thoughts and dialogue from throughout their lives, which clearly no author can know. My reaction was that this must be a novel, but the spine said non-fiction. However, once I got over that hump and the focus of the book shifted towards survivor Karl Hettinger, I became absorbed in the tragedy that befell him. Senior officers, imbued with the LAPD’s macho culture, ostracised and scorned him. He was used in a training film as an example of what not to do when villains pull a gun. Hettinger was traumatised by the death of his partner and had a breakdown, eventually being forced out of the force in 1966 for shoplifting. Though published 46 years ago, and despite the style, Joseph Wambaugh‘s book still resonates as a powerful emotional tale that’s relevant in today’s controversies about gun culture and policing.